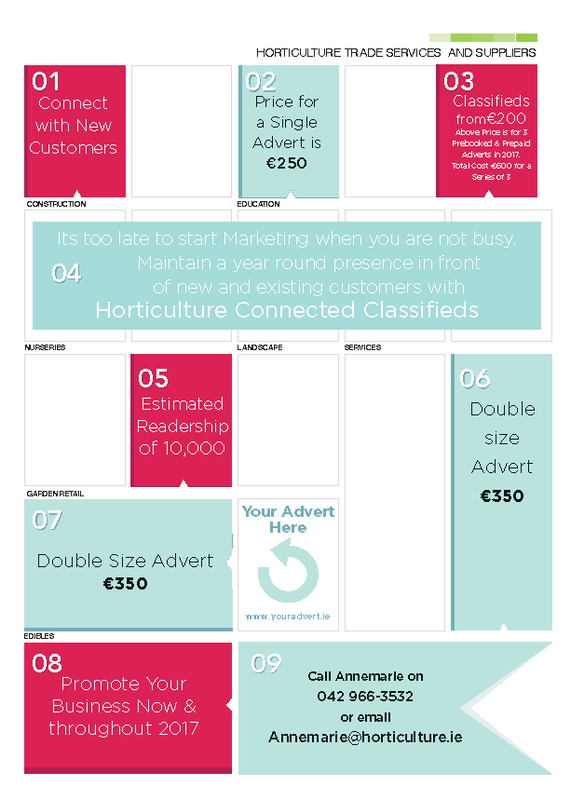 To connect with 2500 businesses and horticulture professionals across Ireland north and south. 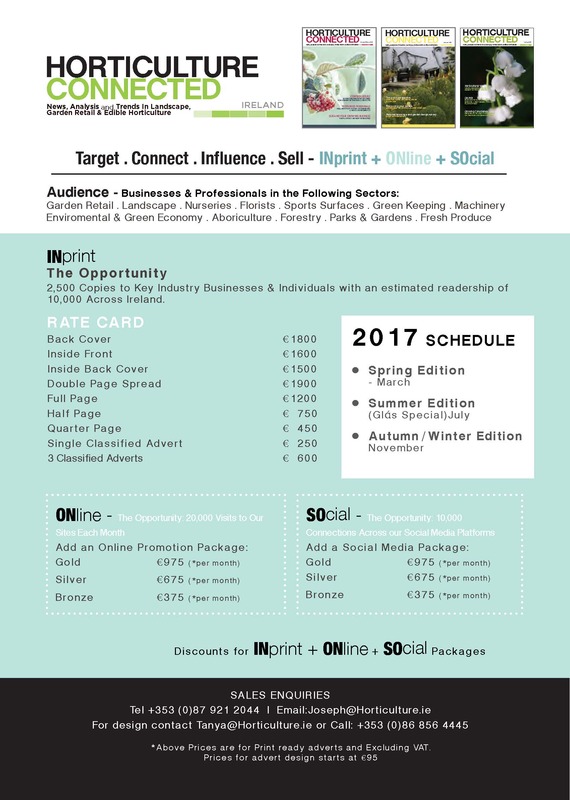 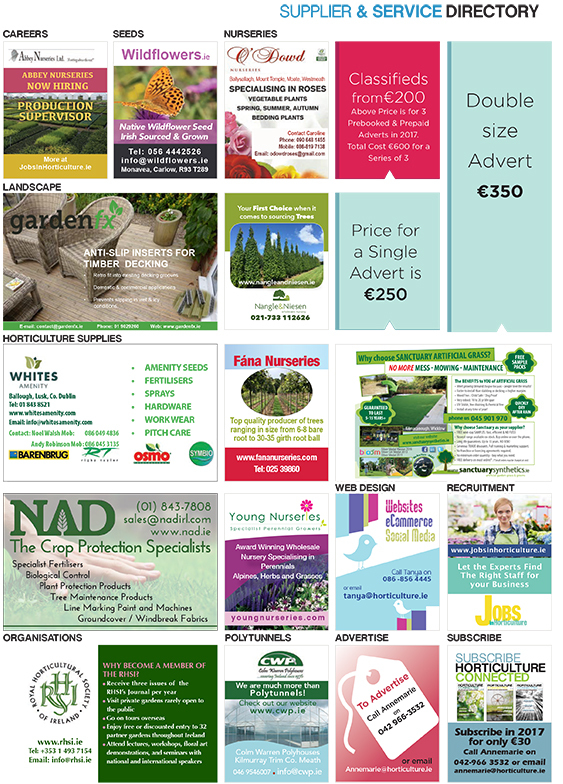 Contact Joseph on +353 (0)42 9663532 or email annemarie@horticulture.ie for more information on advertising in the print magazine along with our on-line news websites. 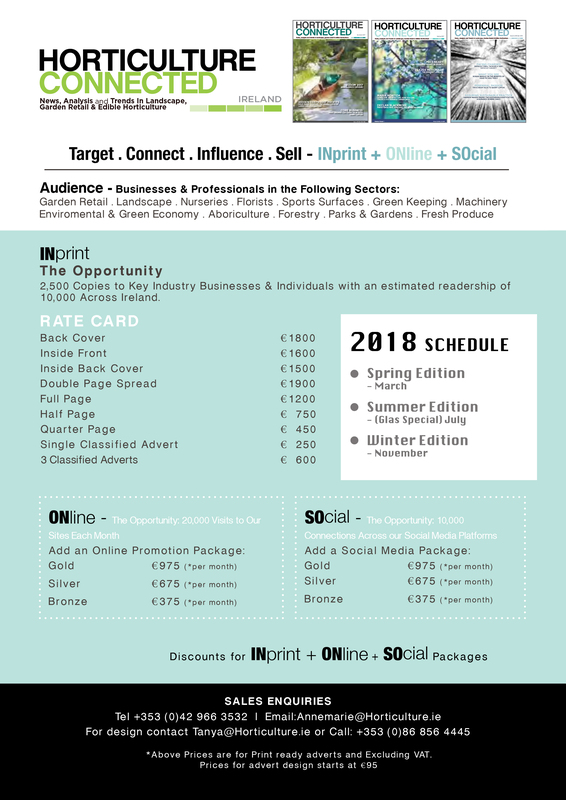 Click here to download the 2018 Rate Card.